Big news for womenswear at Harvey Nichols. The upscale London department store on Friday unveiled its revamped designer womenswear offer in its battle to lure high-spending Millennial shoppers and embed itself deeper in the resurgent luxury market. The four-month refurbishment of its first floor covers 22,000 sq ft and is part of a long-running series of refurb works at the Knightsbridge location, which is just a stone’s throw away from much larger rival Harrods. 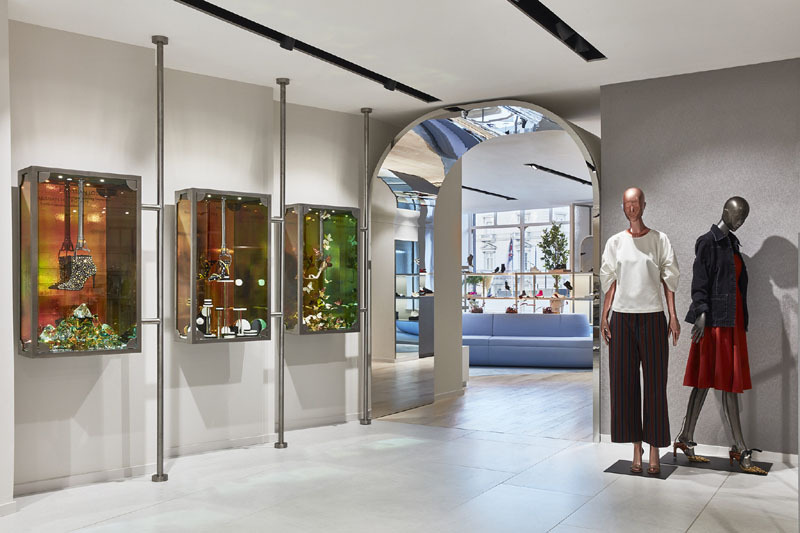 These revamps have been designed to play up Harvey Nicks’ strengths, its quirkiness, its smaller size and its more intimate, personalised approach. Creating the new area has involved restructuring large parts of the floor “to create a fluid open space to ease the customer journey through the brand offering.” The company said the exposure of the original windows has bought in masses of natural light and added to the open and airy environment. The interior features material contrasts with refined, patterned marbles, plus textured glass and raw steel. And in terms of staffing, the company has highly trained Style Advisers on hand to offer expert advice on products, seasonal trends and styling. 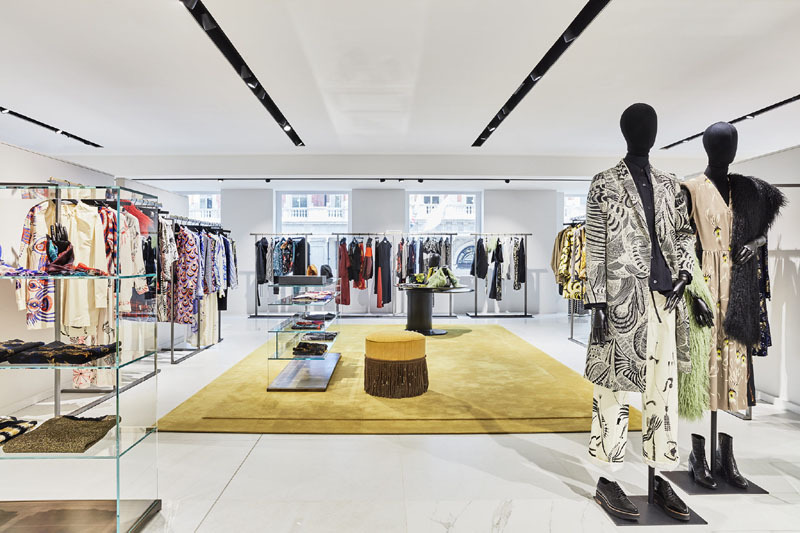 The retailer has created boutique spaces with key brands such as Versace, Dries Van Noten, Stella McCartney, Loewe and Marni and has added new-to-Harvey-Nichols labels including Off-White, Chloé and Calvin Klein 205W39NYC. Its approach with these brands has been to encourage individuality as much as possible. Unlike some luxury department stores, the complete offer (RTW, accessories etc) from these brands is located in one space inside their boutiques rather than being spread over several floors as often happens in much bigger luxury department stores globally. The new womenswear area leads into the shoe section which has also been opened up and and there are branded shoe boutiques nearby too. The retailer is targeting both local shoppers and global tourists with the changes and now undeniably has an offer that should appeal to both. It said that for the first time in four years, it will have four floors dedicated to womenswear collections as a result of this new opening. And on the fourth floor, which has been rebranded as the Designer Studio, it has further international collections and a new dedicated beachwear department that extends the resortwear brand offering. It comes at a busy time for Harvey Nichols as the womenswear department opening follows its recent launch of an omnichannel-focused technology solution that allows e-shoppers to speak directly to an expert in the particular product category in their nearest HN store. And it also follows on from the beauty revamp downstairs that has seen it focusing much more on exclusives.